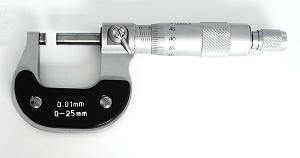 A micrometer (micrometer screw gauge) is an instrument for precise measurement of small distances. 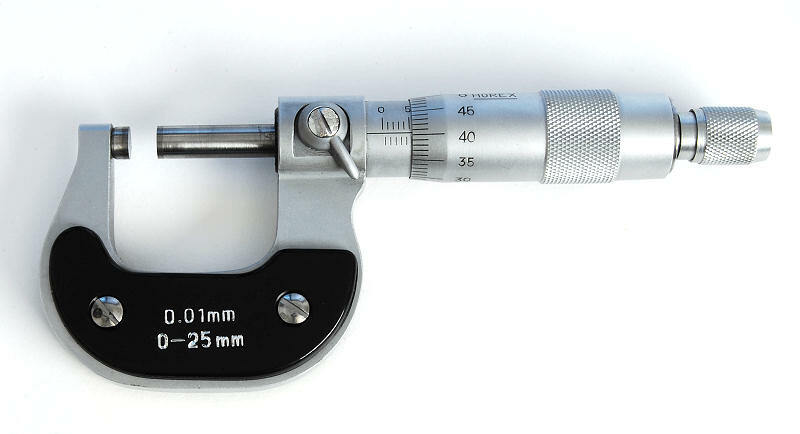 The sleeve which moves the spindle by turning is graduated with marks 1/100 mm apart. One complete turn on the sleeve scale moves the spindle 0.5 mm.